Home > Recipes + Food > Easy Family Dinner Ideas > Easy Chicken Slow Cooker Recipes for Kids and Dads! When you’re a busy mom trying to fit so many things into your schedule, easy dinner options are a must and chicken is a versatile ingredient. That’s why we’ve pulled together this collection of Easy Chicken Slow Cooker Recipes for Kids that Dads will love too! 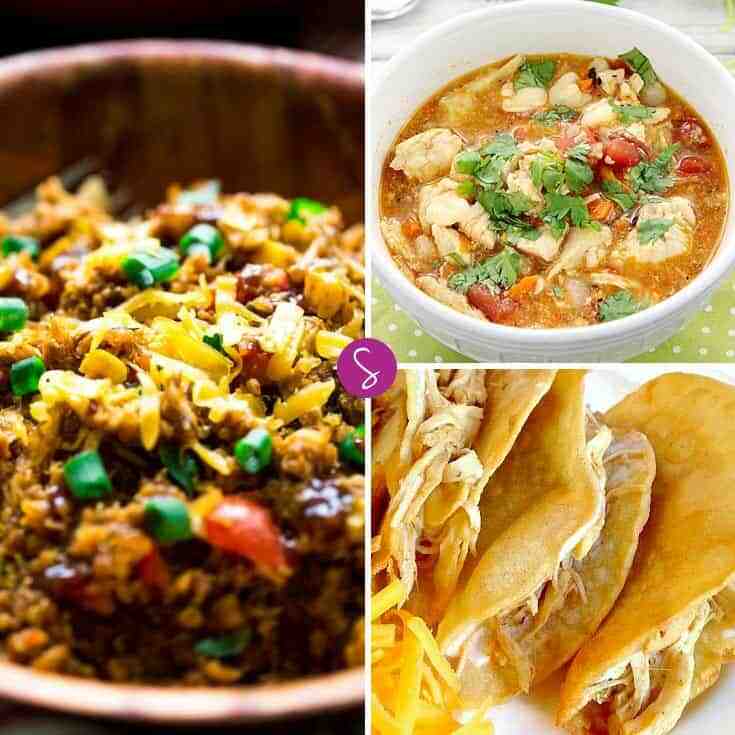 From Nachos to Taco Soup and BBQ Pulled Chicken and more – it’s a fabulous collection of family friendly crock pot recipes! No more washing out your CrockPot! Wait! 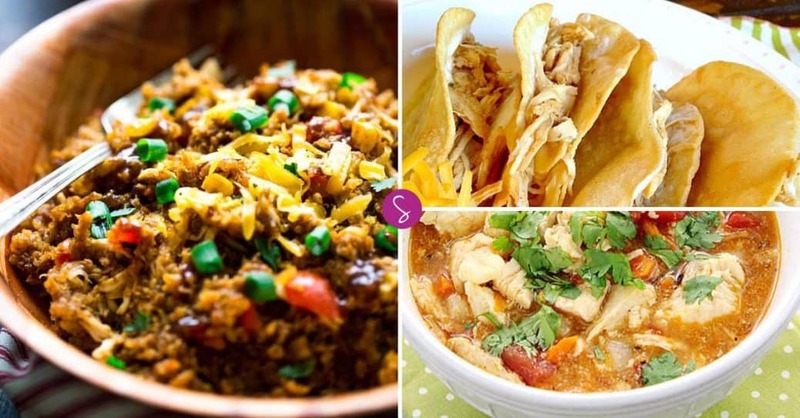 Before you scroll down and see all these mouthwatering slow cooker recipes you NEED to see this! We love using a slow cooker to make life easier preparing meals, but do you know what we don’t like? Which is why these slow cooker liners are the best thing since… well the CrockPot! 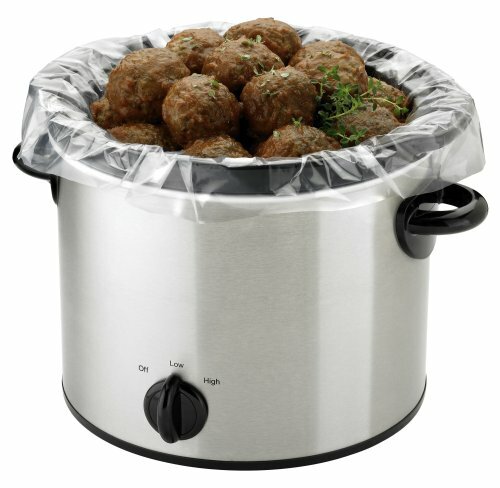 Just line your slow cooker (they work on round and oval models and even baking pans!) cook your recipe and then serve it up and throw the liner away. Super Simple! 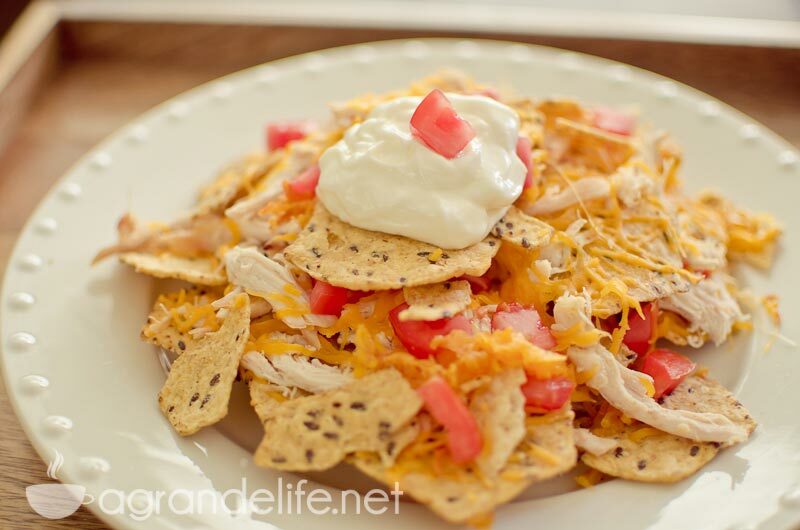 Shredded Chicken Nachos – Whether you’re looking for a Friday night meal, or a snack to eat while watching the game on Sunday afternoon, you can’t go wrong with these chicken nachos. 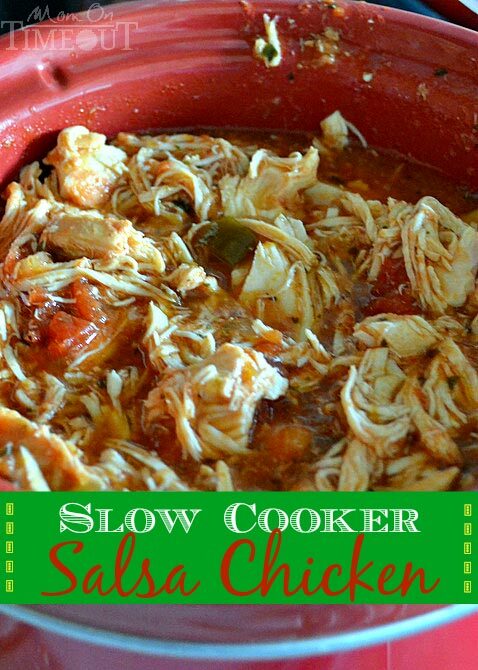 Slow Cooker Salsa Chicken – Does your family love salsa? Then they’ll love this chicken crock pot recipe that is just bursting with their favourite flavours! 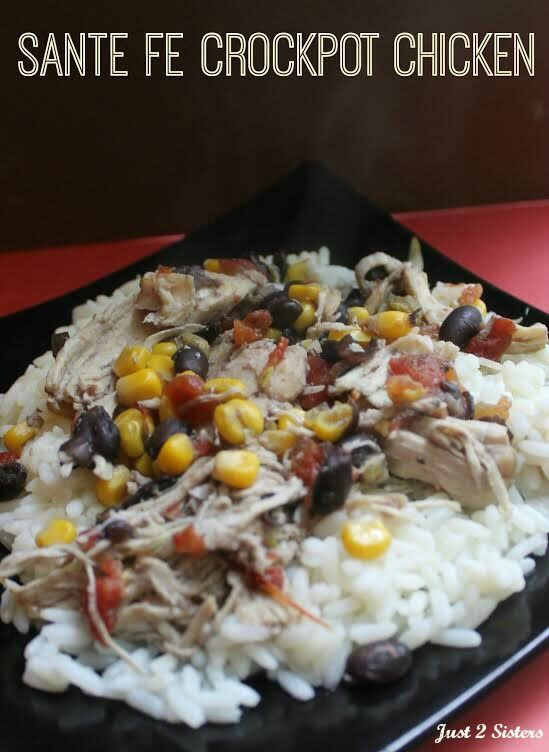 Santa Fe Crock Pot Chicken – I love flexible meal ideas, you know where you have a core element and then you can mix it up to keep things interesting. And this Santa Fe chicken can be served over rice, with tortillas or even over nachos! 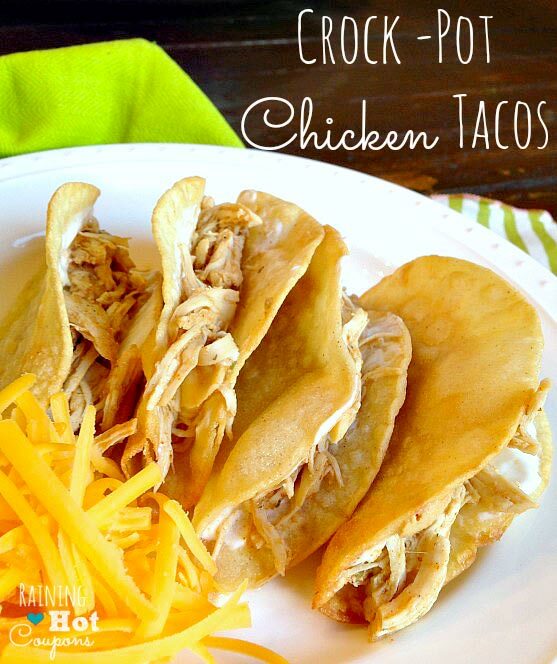 Crock Pot Chicken Tacos Recipe – These chicken nachos look perfect for even the pickiest of eaters, and there’s nothing stopping you adding some more toppings for the more adventurous kids or adults at the table. 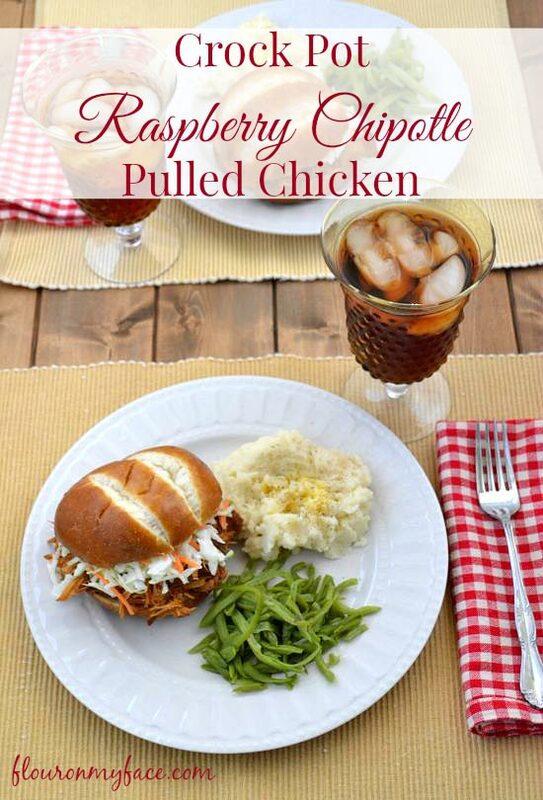 Crock Pot Raspberry Chipotle Pulled Chicken – Chicken Crock Pot recipes are usually pretty simple to make, but I don’t think it gets much simpler than this raspberry chipotle chicken because it only has two ingredients! 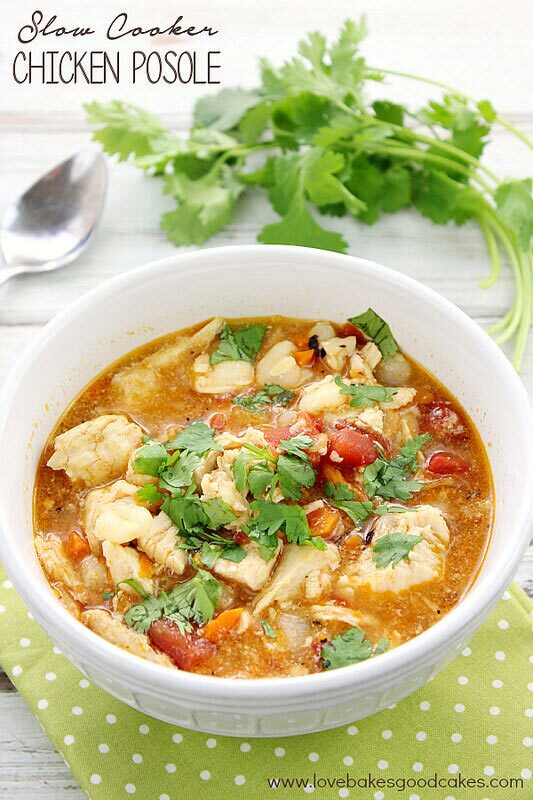 Slow Cooker Chicken Posole – If your family loves Mexican flavours then you will want to give this Posole recipe a try, especially as the crock pot does all the hard work! 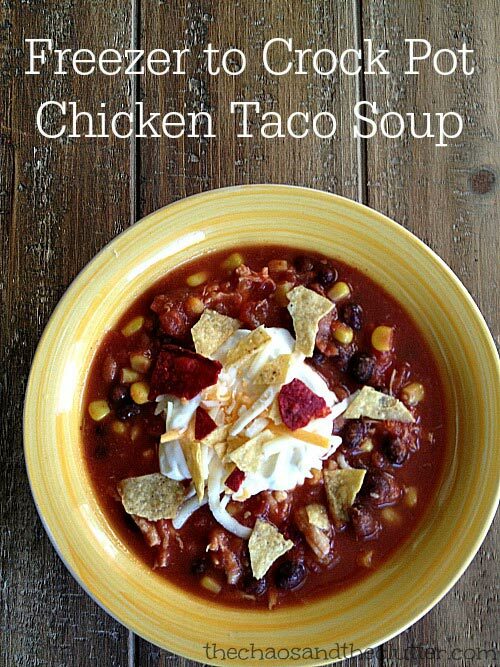 From Freezer to Crock Pot Chicken Taco Soup – You know I’m a big fan of homemade freezer meals so I just had to include this chicken taco soup in our collection. It’s perfect for camping season too! 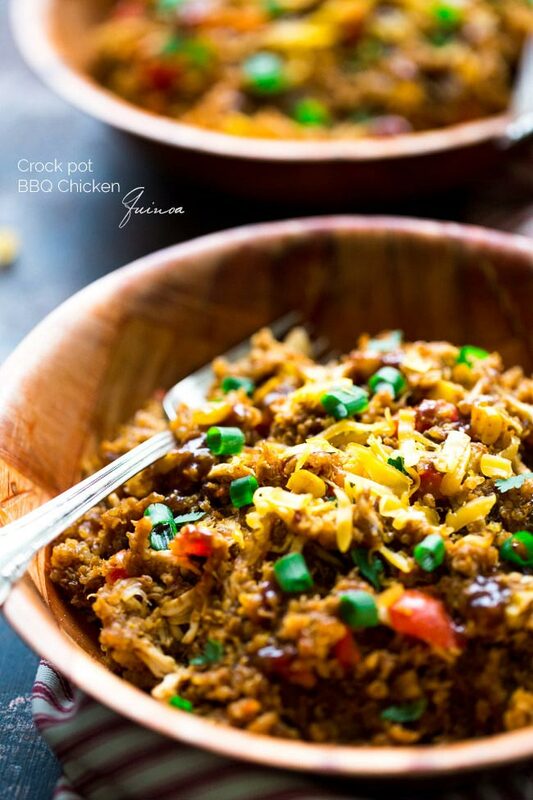 Crock Pot BBQ Chicken Quinoa Recipe – This recipe is so quick and easy it’s perfect for weeknight dinners, and it includes quinoa which is a super healthy super food! 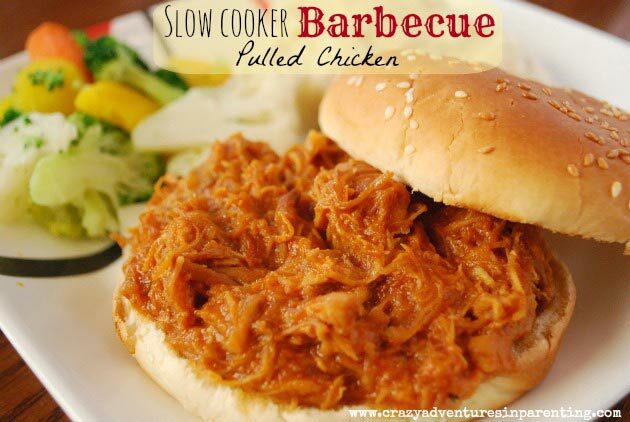 Crock Pot Barbecue Pulled Chicken – BBQ Chicken is always a popular choice and this recipe is perfect for weekday dinners and even pot lucks, and it’s the kind of recipe you can add ingredients to to really make it your own. 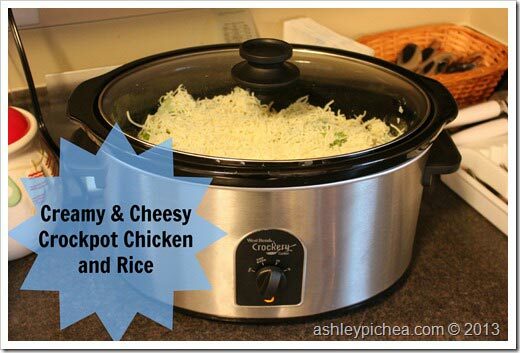 Creamy & Cheesy Crockpot Chicken and Rice – Need to prepare dinner super quick? How about in less than five minutes? Yup, you really can prepare a healthy dinner in less time than it takes to find the tv remote! 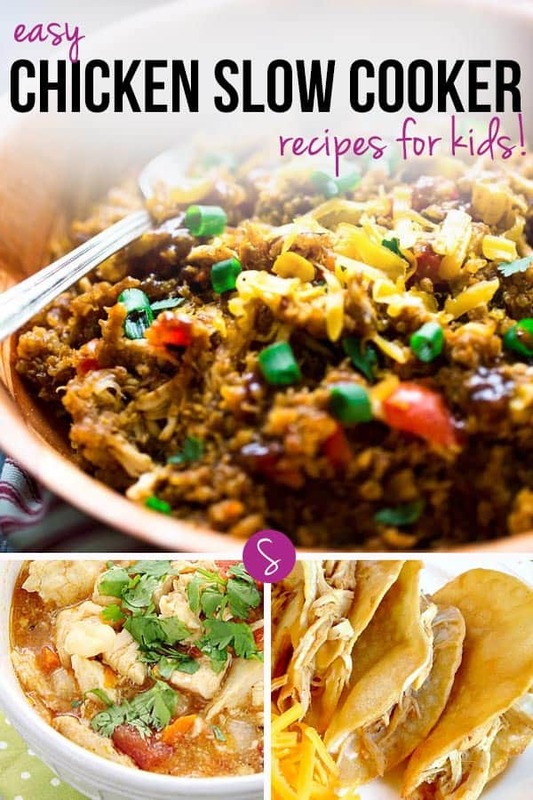 If you loved these Easy Chicken Slow Cooker Recipes for Kids don’t miss our ever popular collection of Easy Baked Chicken Breast Recipes for Kids!